Two years ago, Maggie Stevens began the hunt. Four weeks ago, Maggie’s world fell apart, when she finally found what she’d been looking for. And when Quentin, who had blindly trusted her, unravelled her web of lies. Now, Maggie lives in the dark. But she’s not about to stay there. Not when she still has to bring M Corp down. Not when there is still a chance she could win him back. Time has no meaning when you're confided to a darkened cell, weak and on the verge of succumbing to defeat. But that's how the M Corporation keep their captives obedient and only thoughts of Quentin are keeping Maggie Stevens alive. It's been four weeks since she was captured, and now suddenly released, she knows that she is now living on borrowed time. The Mercer family will never let her live. Her first priority is to keep her family safe, the next is to find Quentin. But after Maggie's deception, will Quentin want anything to do with her again? The fight against the Mercer Corporation will require Maggie to battle her own demons, but is she ready to lead a revolution? Jessica Shirvington is phenomenal. The Disruption Duology is simply the best Australian dystopian series I've ever had the privileged of reading. Told from the perspective of Maggie Stevens, sassy, self aware and a manipulator who knows how to get the job done. Her only weakness has always been her father, the man who was supposedly removed from his home by force, only for Maggie to discover the truth behind the man she has always idolised. I have watched as they were gunned down, locked up. The faces I have turned my back on and walked away from. All because I was trying to save the man who had helped put them there. The world is now run by the Mercer Corporation. Citizens who are deemed unworthy are thrown into underground prisons and left to rot, while the remaining population live their lives according to a wrist band that denotes how they rate with a potential partner, their physical statistics and how the oppressive society is able to weed out the undesirables. In Disruption, Maggie recruits Quentin to her cause, through deception and manipulation, the heir to the Mercer family never expected to fall in love with the girl who is now wanted by the law. 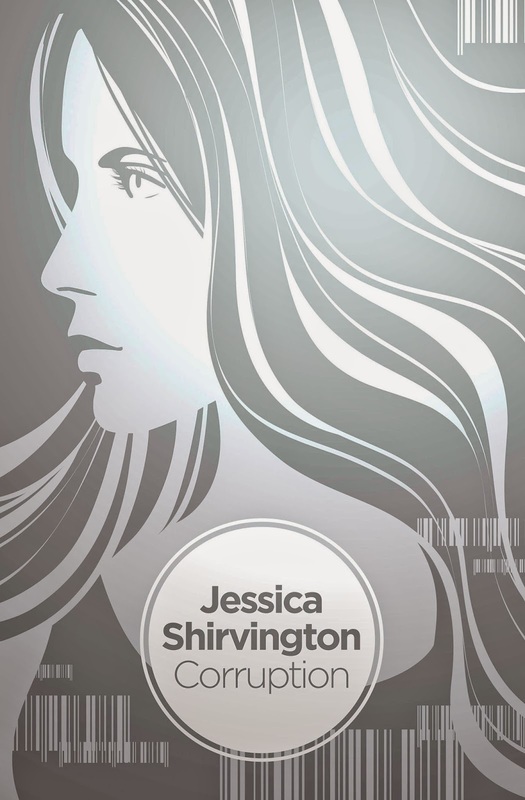 The Disruption Duology is simply the best of Aussie young adult, and Jessica Shirvington is absolutely brilliant. Perhaps I should give Jessica another chance. I didn't enjoy her angels series; so much so that I barely finished the first book (I gave away the series, which I had to order all the way from Australia). Maggie sounds like an acquired taste, but one that I'm definitely a fan. I haven't actually read that series yet Joy, but I absolute loved Between The Lives. Have you read that one yet? It's brilliant and superbly unique. But The Disruption series is by far her best yet. You definitely won't be disappointed Zoe, the feels, the action, the sassy Maggie. Even the finale! It's all absolutely phenomenal. And it's also a duology, so there's no middle book filler either, just brilliance from cover to cover. I'm so excited to see what you think of it. I NEED THIS BOOK SO MUCH I CANNOT EVEN EXPLAIN HOW MUCH I'M FLAILNG. I put of Disruption for forever because I just wasn't enthused, then I listened to it on audio and?! UM YES. YES I LOVE IT. I shipped Quentin and Maggie SO HARD at one point I had to stop listening because I couldn't handle the feels and all Maggie's lies and I just want them to be together and waaaah, nothing ever goes riiiight in these sorts of tales. Dying for Corruption? Yes. Yes I am, thanks for asking, yes. I only read it a few months ago too and was wondering why the hell it taken me so long to get around to reading it. The feels! I loved it, actually adored it. Corruption is even better. BETTER! Maggie gets her sassy on again, and I love that she never once loses herself even IN a relationship of sorts. It's about time we had more strong female characters in young adult that don't turn to mushy messes whenever there's a love interest involved. I love a sassy heroine too Jess, and Maggie is just a bundle of energy, attitude and cunning. We need more Maggie's in young adult. It's probably one of the best finales I've read in any series. It ended so perfectly and brilliantly. Pick it up Jess, you NEED to read this series. Awesome review Kelly! I am reading this at the moment and loving it so far :) I loved Maggie's character in the first book, and in this one she's already shaping up to be the independent and determined protagonist that she should be. I can't wait to see how it all ends! I can't wait to see what you think of it either. It was such an incredibly strong finale which I think I enjoyed even slightly more than Disruption actually. I was so sad to have to say goodbye to the series, I absolutely loved it and looking forward to seeing what she's working on next. Oddly enough, I haven't heard much about this duology. This makes me even more interested. The idea sounds awesome. Thanks for highlighting it, I'll be sure to check it out. Great review. It's brilliant. If you love dystopians as much as I do, you'll absolutely adore this series. It's one of the few that all Aussie readers and bloggers tend to agree on. Me too. As much as I loved the finale, I'm torn being sad to say goodbye actually. I'd love to know what she's working on next. I can't find anything on Goodreads. I partition you to be leader to ask her Gina. Yes. That sounds like a plan. Yay, I'm glad to hear you enjoyed Corruption immensely Kelly! I totally agree with Maggie being a kickass character and not sacrificing herself at the sight of love. I think her and Gus are great friends together though, they bring their skills together for Good. It was an excellent finale! Great review Kelly. Completely agree Jeann, one of the best I've read. I think being a duology kept it action packed and the characters on their toes as well. I already want to reread the series.